Camaro Firebird Trans Am General Motors Key Chains! Everyone who owns a car has a key chain, shouldn't yours reflect your passion? 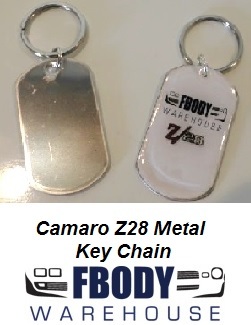 We have a Wide Variety of Camaro Trans Am and General Motors related key chains to show your pride! Great for you or that special enthusiast as a gift! Chevrolet Gold Metal Bow Tie Key Chain! 1967 - 1969 Firebird Keychain New! 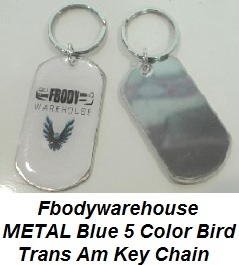 Pontiac Firebird Logo Keychan New!